According to the item’s description, consuming it will boost the amount of experience earned from killing monsters and turning in quests by 100%. Additionally, the item references an “in-game store,” which will apparently be introduced sometime around patch 5.4 if the tool-tip is to be believed. 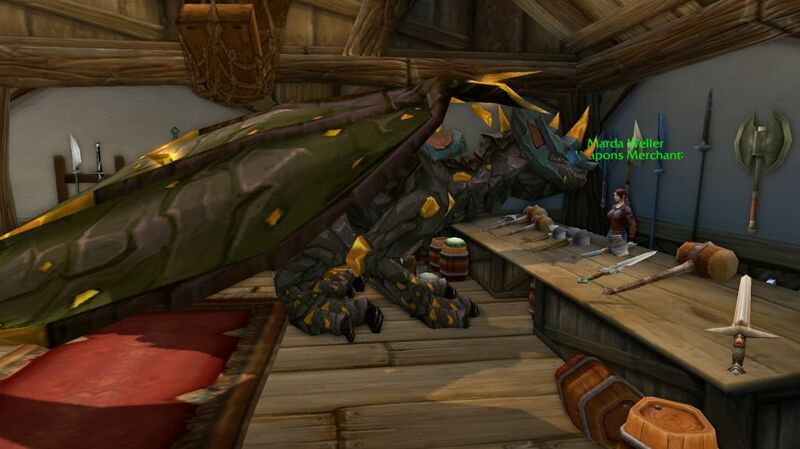 Blizzard has already experimented with out-of-game micro-transactions with World of Warcraft. We’ve seen in-game items like pets and mounts go on sale via the game’s website, but the famed MMO developer may be looking into adding in-game micro-transactions as well. Players began to suspect that Blizzard was planning to go the in-game micro-transaction route after a new item, dubbed the Enduring Elixir of Wisdom, was data-mined from the latest build on the World of Warcraft test servers. Rather than keep the matter hush-hush, World of Warcraft community manager Zarhym confirmed in a thread that Blizzard is, in fact, mulling over the idea of adding in-game micro-transactions such as the one data-mined from the latest test build. As Zarhym points out, however, the in-game store may not be available in all regions. Considering that World of Warcraft is still running successfully on the subscription model, it isn’t likely that we’ll be seeing the company switch over to the free-to-play model – at least not yet. It is interesting, however, that Blizzard is starting to take notes from games that have gone free-to-play.